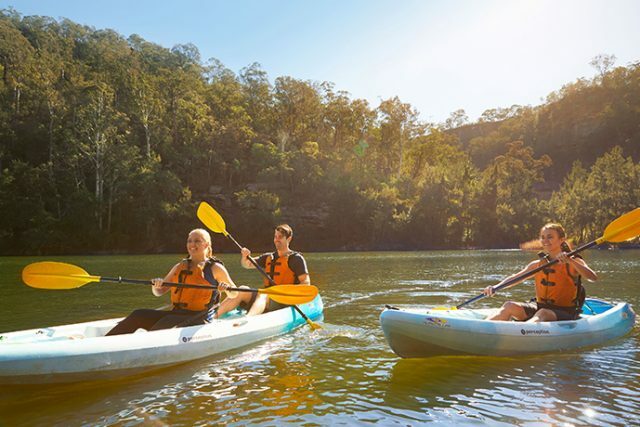 Minister for Tourism and Major Events Adam Marshall unveiled the ‘Wake Up With’ campaign today, which encourages families and active singles from the Greater Sydney area to visit the region and stay overnight. Regional Strategic Alliance (RSA) Chair, Blue Mountains Mayor Mark Greenhill, said at a preview event for the tourism industry on Wednesday that the campaign shows how the three Councils can work together in an innovative and collective way. “The RSA was formed in 2016 to harness the collective strength, energy and commitment of the region to help build the future of our cities,” he said. The ‘Wake Up With’ campaign runs for eight weeks, during the Spring travel period, and features the four experience themes of adventure, nature, food and culture. It builds on Destination NSW’s and the NSW Government’s commitment to grow the state’s regional economy, through marketing diverse destinations and unique experiences. “The campaign offers a refreshed view of experiences within the Blue Mountains, Hawkesbury and Penrith,” she said. “Activities like kayaking, mountain biking, tree top adventures and camping will be showcased in digital media, public relations activity and a partnership with Wotif. The campaign also highlights quirky and unique food picking, dining and cultural experiences. The ‘Wake Up With’ marketing campaign runs until November 3, 2018. Go to http://www.visitnsw.com/wake-up-with for more.